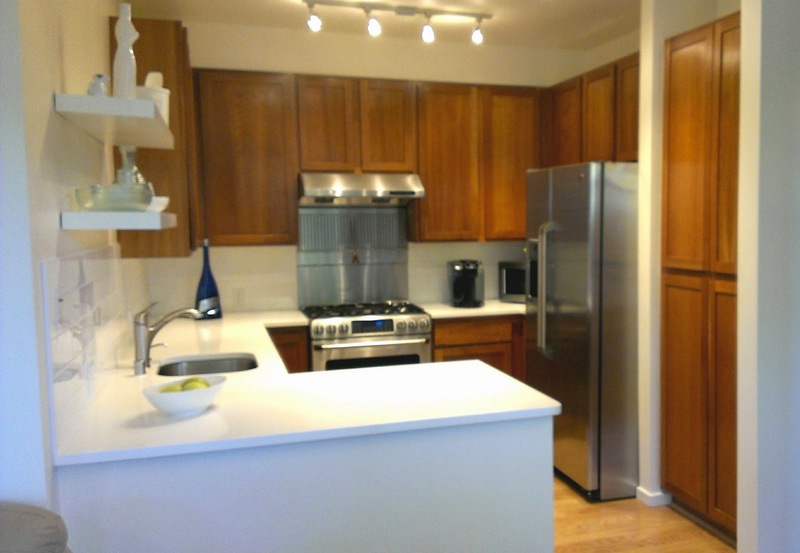 We worked with Galina last December to find the perfect downtown Kirkland condo. It just needed a minor bit of refreshing to better suit Galina's style - so she extended the wood flooring and painted everything white. An equally dramatic change was to the kitchen where she replaced the old laminate counters (including removal of an impractical raised bar top) with fresh white quartz. 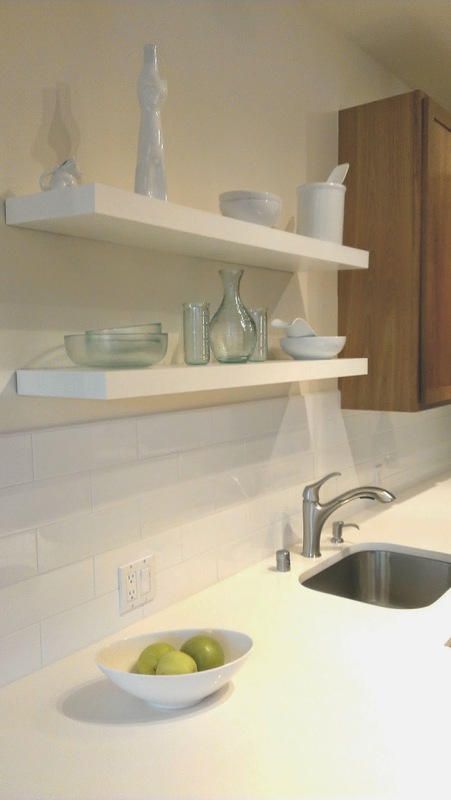 She also installed a new tile backsplash, undermount sink, fixtures, and added floating shelves above the sink where there was just blank wall space before. Now the space is bright, modern, and functional - and beautiful! Great job, Galina! It looks fantastic and the well-chosen finishes have certainly added to your value. If you have a project you want to share, please email us!